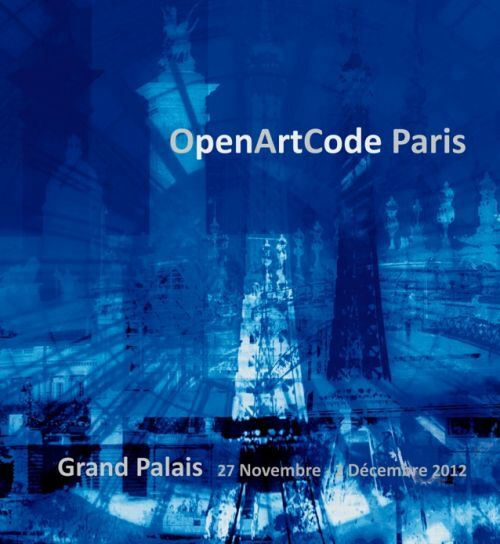 The OpenArtCode artists return to the Grand Palais in Paris to exhibit in the Salon des Artistes Indépendants during the impressive art exhibition ART en CAPITAL taking place from 27 November to 2 December 2012. The OpenArtCode group is made up of renowned artists who have very different technical styles and their artistic formation is varied. Coordinated by Studio Abba, they have united their talents in the past to exhibit together on consecutive occasions in Paris at the Grand Palais, at the Rainier III Auditorium in Monaco, the Oxo Gallery in London and at the Pudong Library and CEIBS in Shanghai. The Société des Artistes Indépendants (Society of Independent Artists) was created in 1884, on the impulse of the artists who wanted to submit their art independently to the Salon, the famous exhibition created by Louis XIV. From a small group of innovative artists such as Paul Cézanne, Paul Gauguin, Henri de Toulouse-Lautrec, Camille Pissarro and the “Founding Fathers” Albert Dubois-Pillet, Odilon Redon, Georges Seurat and Paul Signac, the Salon des Indépendants was established. Isabel Becker, Eva Beumer, Rita Blitt, Mary Brilli, Renato Chiarabini, Randy Covey, Riccardo Dametti, Emmanuel De Brito, Glenn de Witt, Christine Drummond, Bruno Falcão, Edmund Ian Grant, Hernan Guiraud, Agneta Gynning, Azra Huskich, Sumio Inoue, Agata Lulkowska, Najat Makki, Else Pia Martinsen Erz, Marie Miramont, Tomonori Nishimura, Sara Palleria, Catherine Raynes, Kristi Rene, Paolo Nicola Rossini, Kamil Sarnowski, Sasha, Christine Sellman, Kevin Smola, Karl Stengel, Amy C. Storey, Tiril, Hannu Uusluoto.